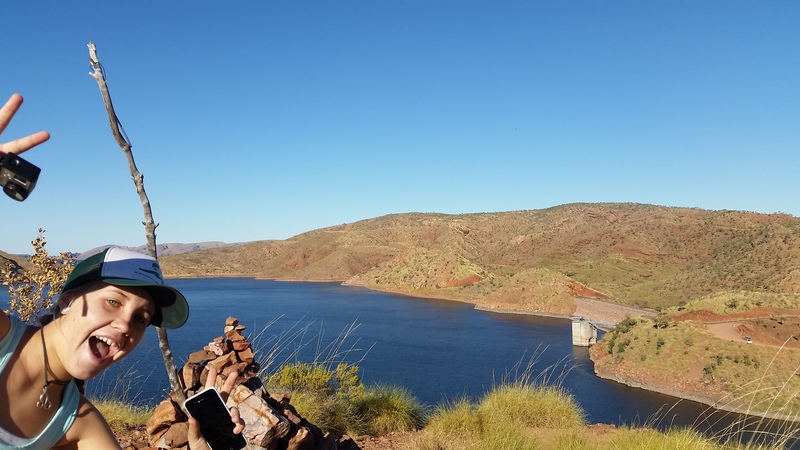 Our next destination after Knx was Lake Argyle, only 70kms down the road, therefore we arrived nice and early and securing our spot in the usual caravan line up. 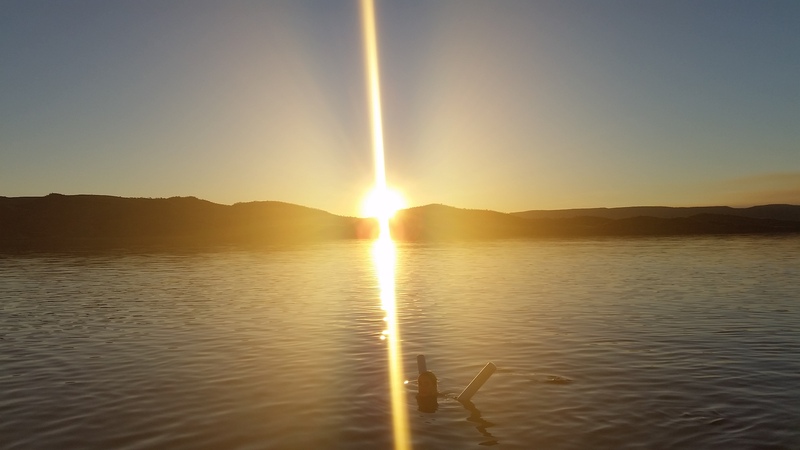 We had heard on the grapevine and from fellow travellers that you had to get there early in order to secure a powered site and thankfully we were, so we scored a nice big powered site not far from the infamous infinity pool. After we set up and had morning tea, we went for the usual walk around the park and sussed things out. 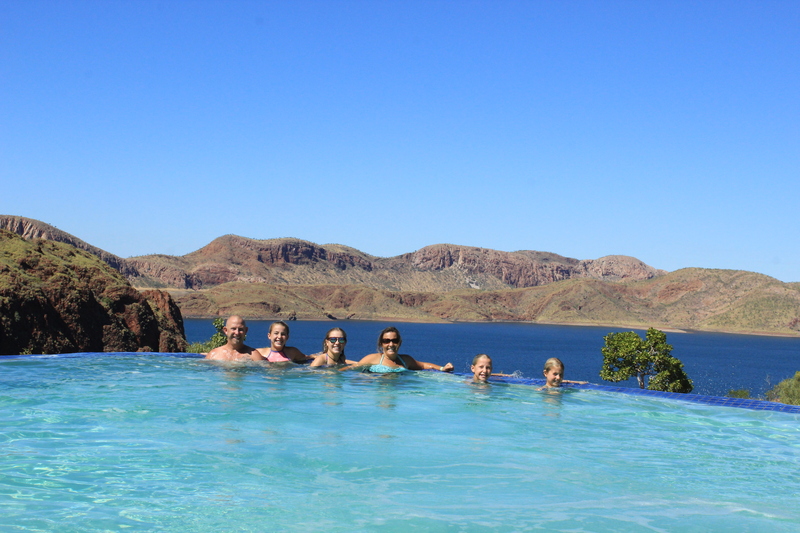 The infinity pool looked awesome but the temperature didn’t impress me, so we decided to wait for the next day to take the usual photo with the lake in the background, as I think I need to psyche myself up for it. 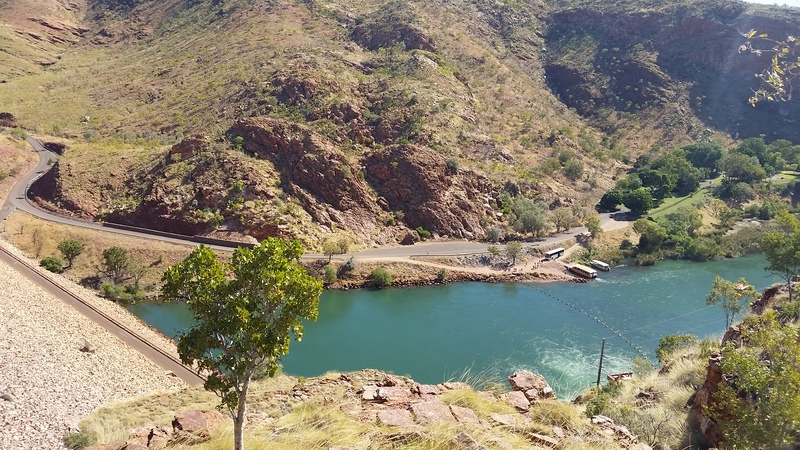 Instead we went for a drive up to the impressive dam wall, down to the picnic area below and along to a few lookouts. From one of the lookouts we were able to view the water below the dam spotting a crocodile cruising around, not sure if it was a freshie or a saltie. 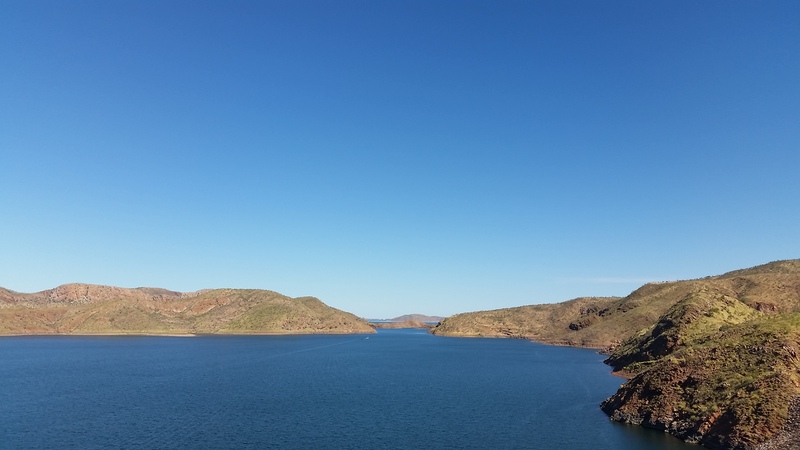 The dam wall at Lake Argyle. The lake from the lookout. The girls at the lookout. 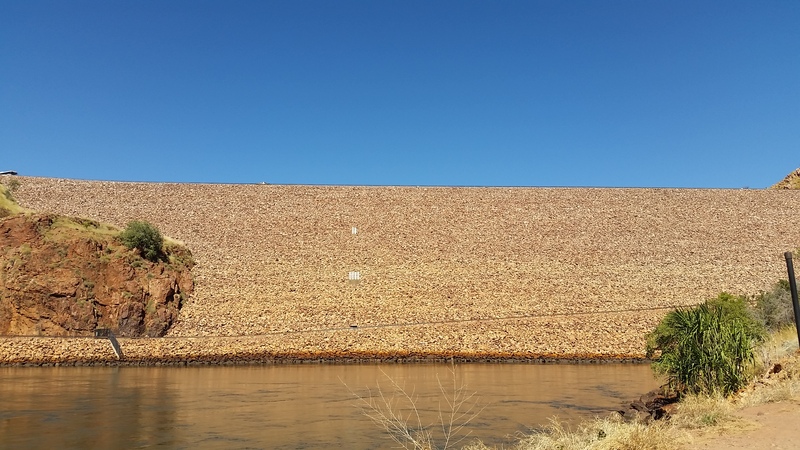 View of the dam wall from downstream. View of the wall and downstream. Nik is fishing down there somewhere, with a croc swimming in the shallows to keep him company. The next day Bec, Abs and myself went for a hike along the St Georges Terrace- Bluff Lookout walk, which had us walking around past the old the homestead and onto the bluff, where we were able to take some amazing photos. The walk was great, we didn’t stray off track once and it wasn’t too steep!!! 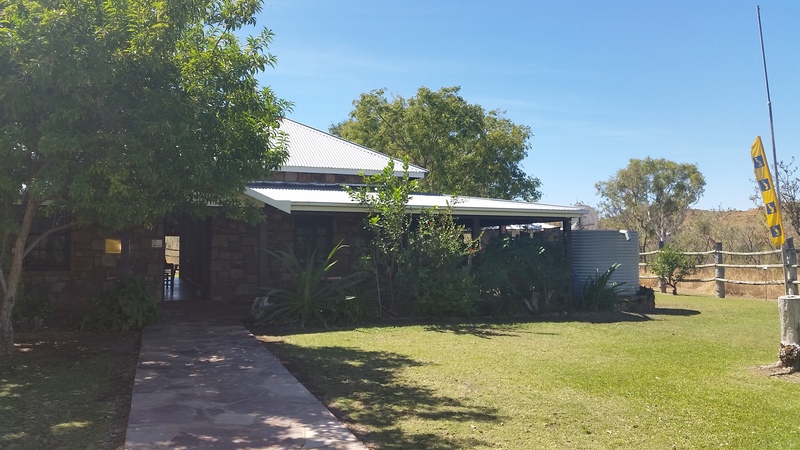 Later on that morning we went to the Durack Homestead where we wandered through and learnt about the history of the Durack family and how when the Ord river was dammed it flooded the majority of the Lake Argyle Station. The bricks from the homestead were saved and transported to Knx where they were in storage for many years until they were finally able to receive some government funding and relocate and reconstruct the original homestead to where it stands today, using the same bricks it is an exact replica of the Durack’s homestead that was built in the 1880’s. The start of the bluff walk. Rustic sign keeping us on the right track. Pesky child ruining the view. 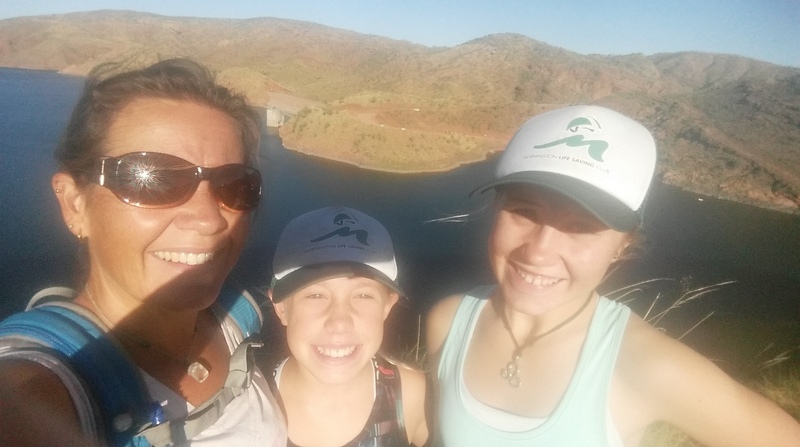 Me and my hiking buddies!! The view from the bluff at the end of our hike. 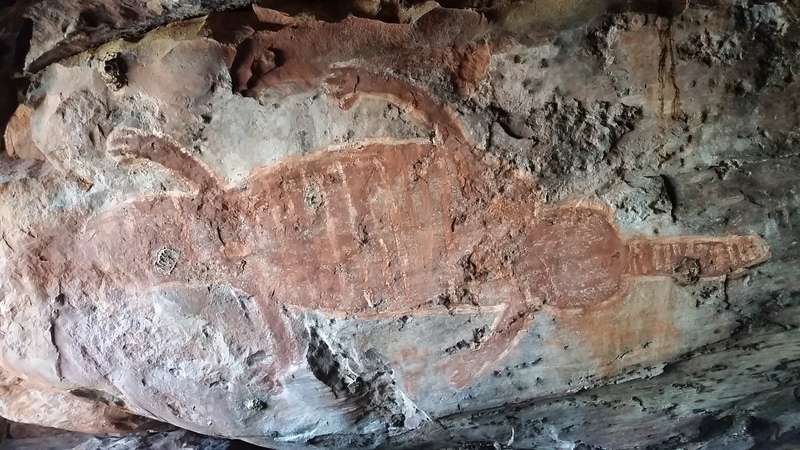 After our history lesson we went and found some geocaches and also stumbled upon some aboriginal art at a place called Crocodile Rock. We were surprised that this little landmark wasn’t passed on to visitors as it was located in a pretty cool cave, however it was nice to have it to ourselves!!!! 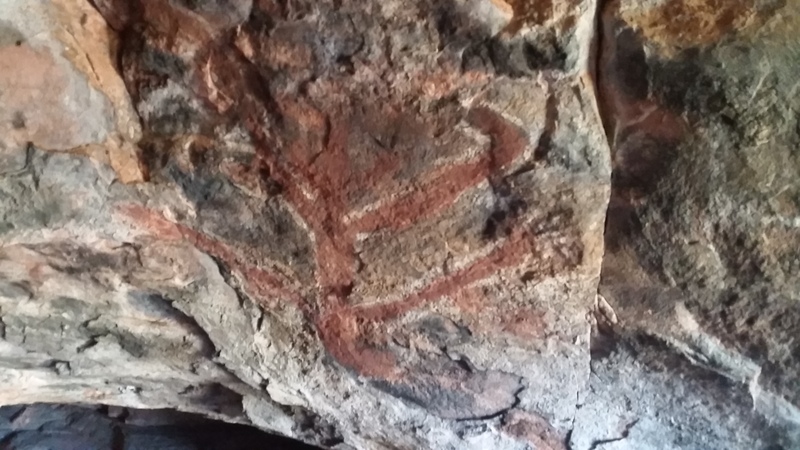 Aboriginal art at Crocodile Rock. 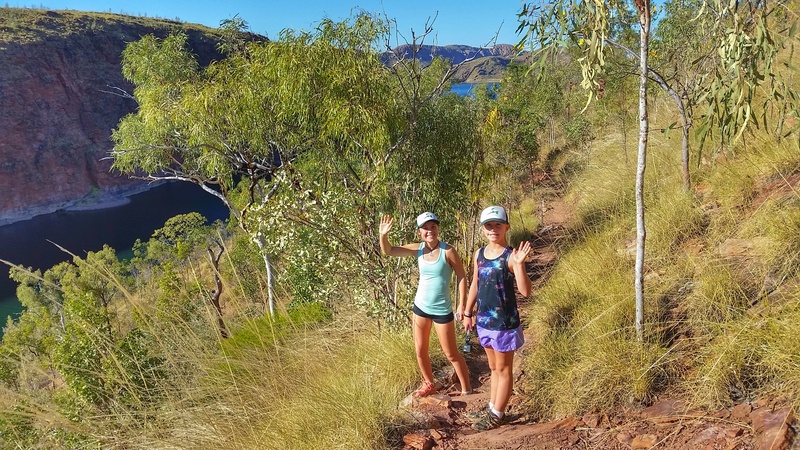 Another walk across from the caravan park had us climbing up a fairly steep hill to give us some pretty amazing views of the Lower Ord River and the dam. 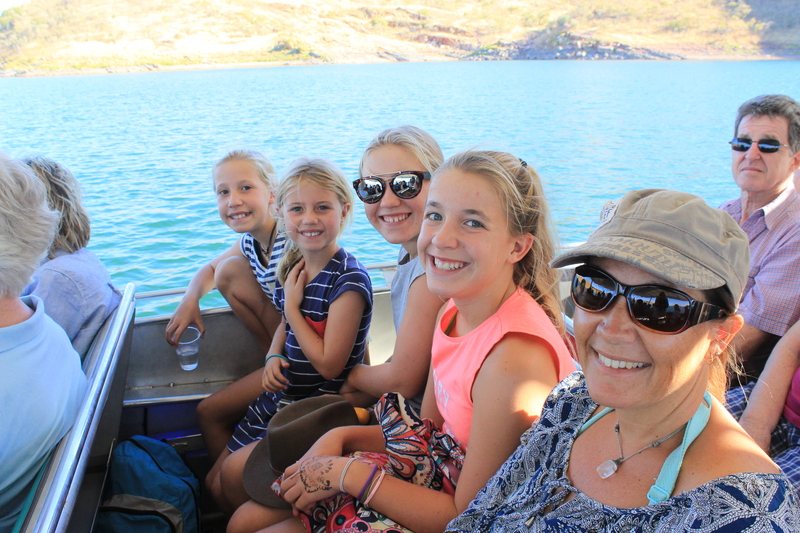 After lunch we got ourselves ready for our sunset cruise that we had booked in for with Lake Argyle Cruises. 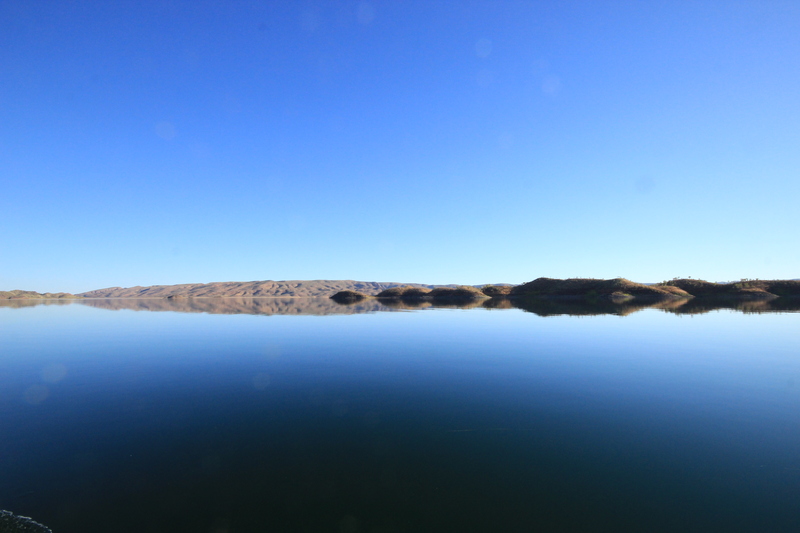 We were picked up from the park at 2:30 by the bus and taken down to the boat ramp, where Matt our boat skipper drove us around the lake for the rest of the afternoon. Matt also got us up close and personal with some Short Eared Rock Wallaby, freshwater crocodiles and some Archer fish (which spat the water at us). 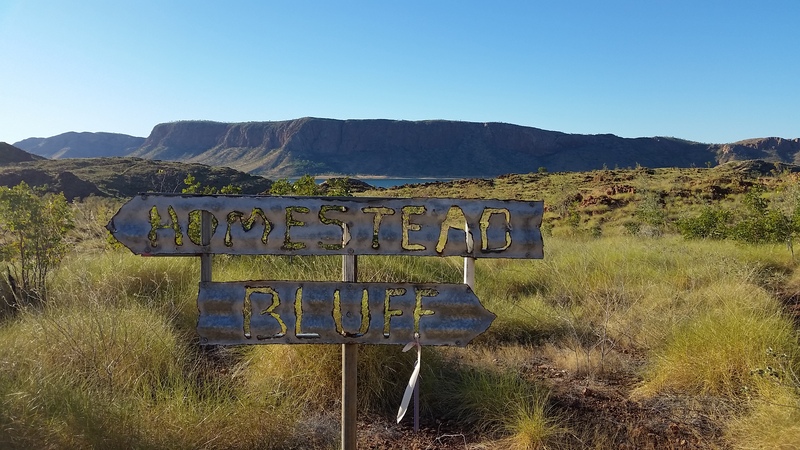 The cruise was a bit of a history lesson too, with Matt talking to us about the history of the land, known initially as Argyle Downs Station, and founded by the Durack family way back in the late 1800’s. Geography was also covered as Matt pulled out the overhead map and showed just how little of the lake we had been on and how small was the amount that you could actually see. 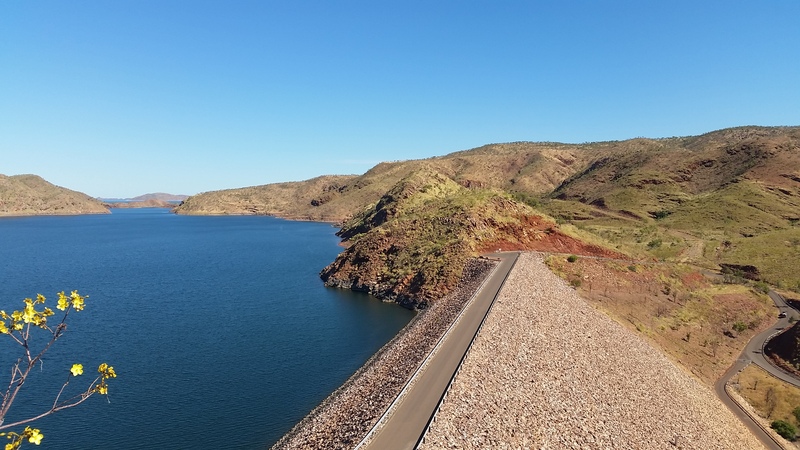 Considering that back in the 1980’s the whole dam project was considered a bit of a white elephant, it is now supposedly doing quite well, as it supplies the water for the agriculture farms in Kununurra, with the biggest user being TFG (who grow Sandalwood, a product used for perfumes), and it produces the electricity for Kununurra, Wyndham and Lake Argyle township. I assumed that it was also the areas main drinking water source, but no, not one ml is used for drinking. 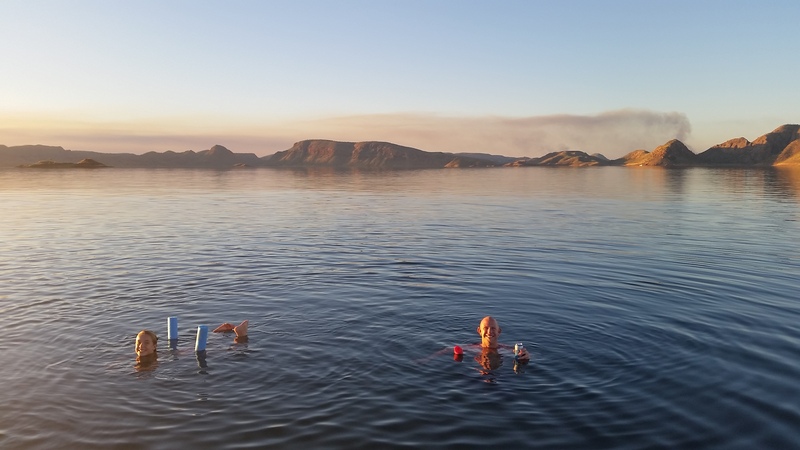 The cruise concluded with a chance for the brave to jump in and have a swim, whilst beer, wine, nibbles and afternoon tea was handed around, both on the boat and on the water via a floating esky. All up the cruise was great, although a tad expensive, but we all had a good time and enjoyed ourselves. 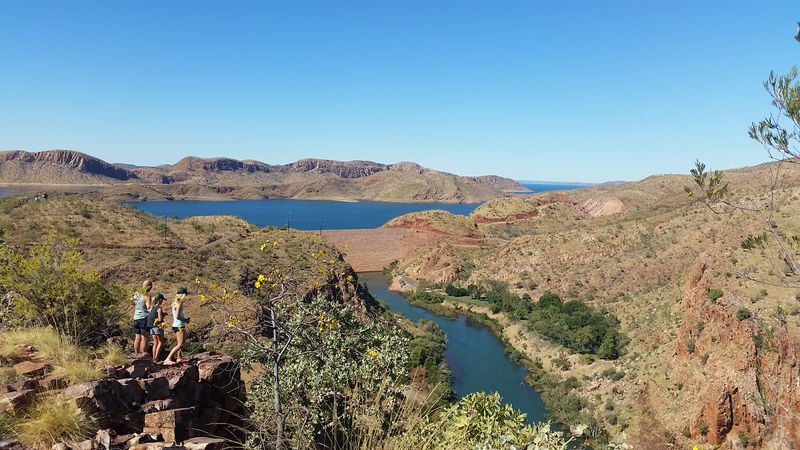 The view from the hill opposite the park of the Lower Ord River and the dam wall. 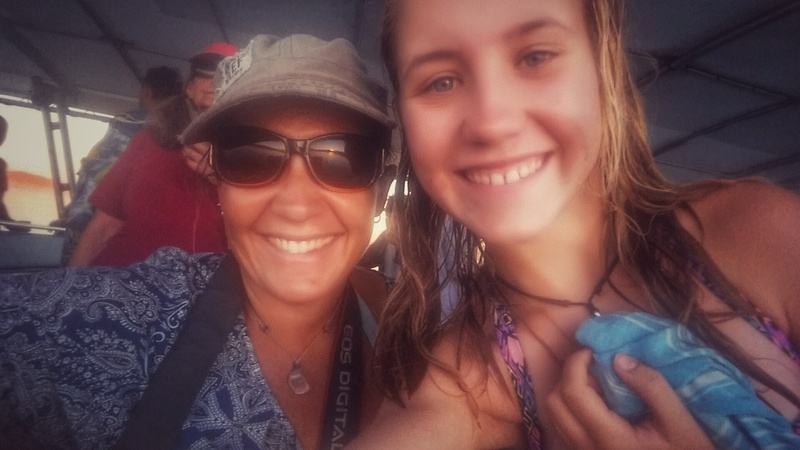 Bec, the queen of selfies, and myself on the cruise. Ready for our ship to sail!!!! 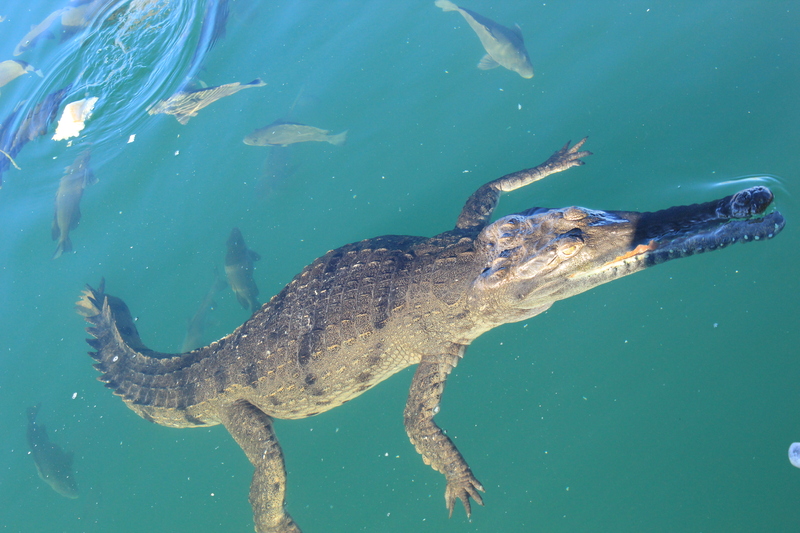 One of the 25,000 freshwater crocodiles and the many catfish of Lake Argyle. A swim with drinks and nibblies. Note the smoke from the fire in the background. 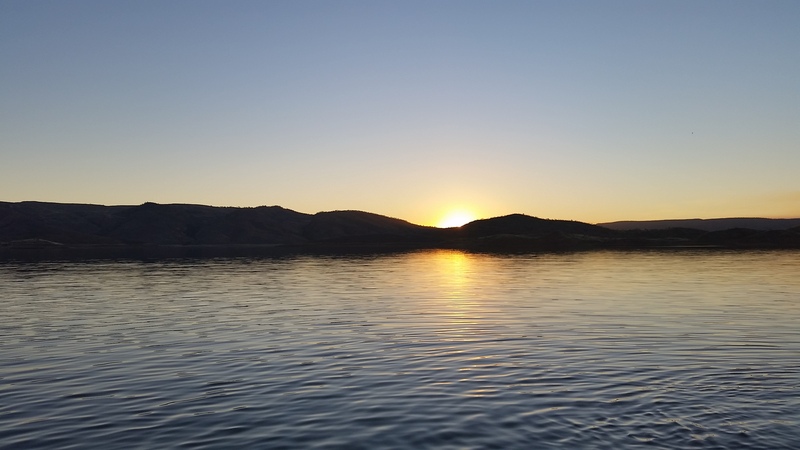 Sunset on the cruise, looking west. Sun disappearing behind the ranges. Looking east at sunset, the sun on the rranges behind us. 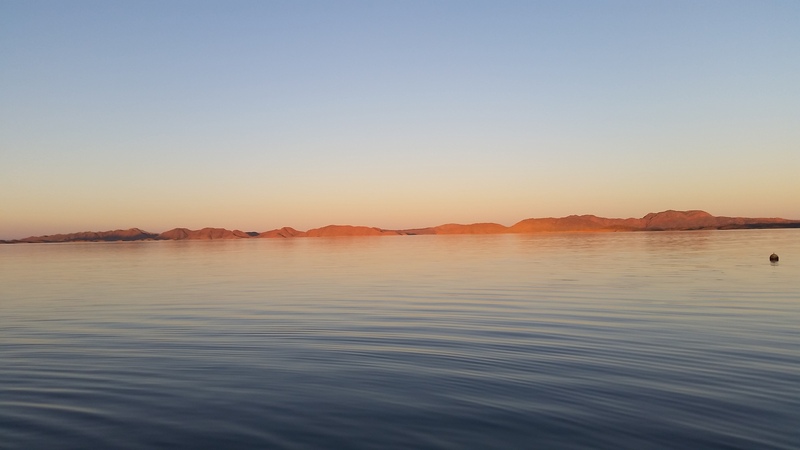 Lake Argyle at her best!!! 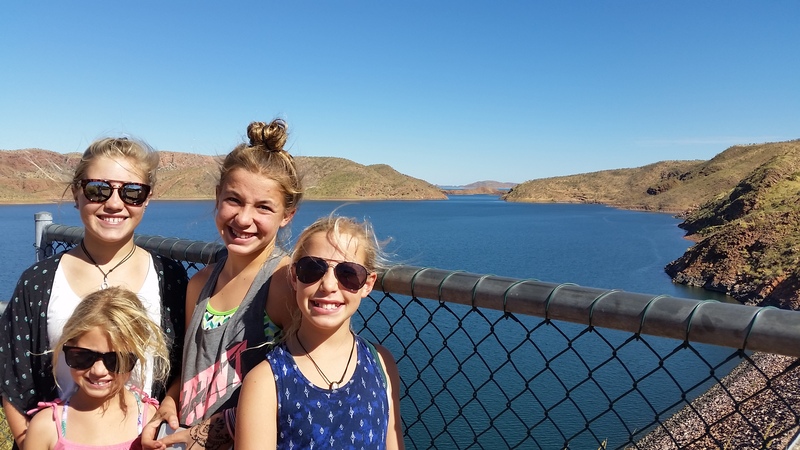 We enjoyed the scenery and history of Lake Argyle, they were both interesting and amazing and we learnt a lot about the last 120 years of the area, however we now start a new and exciting chapter and look forward to our next destination and adventure on our OZLAP………………………….. Yes, finally I got in the pool for the photo and my god it was ridiculously cold, not that you could tell by my body language and clenched teeth!!! Next Next post: Western Australia wrap up!! !